All classes meet at 8:00 a.m. and they end between 3 - 4 p.m.
Are you involved with an active boy or girl scout troop, Indian Guides or perhaps the YMCA and are looking for a unique outing? We have helped many scouts earn their climbing merit badges with our certified Boy Scouts of America Rock Climbing Merit Badge Counselors. We have also provided the fun and adventure for an alternative type of bachelor party. 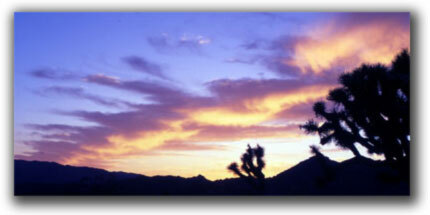 We can help you organize an adventure to remember. Fun, self confidence, and team spirit are just some of the benefits your group will experience. 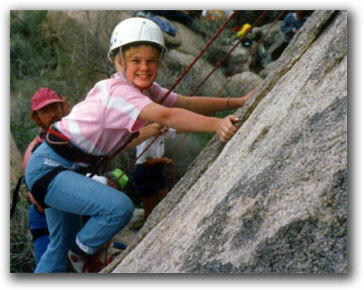 Joshua Tree Rock Climbing School knows the importance of having a quality outing at an affordable cost. Keep in mind we have a perfect safety record. Our certified guides are some of the most competent in the nation which is something you really can't put a price on. Your session will consist of learning the basics of knot tying, rope management, belaying, rappelling and you will be challenged to a variety of rock climbs at various levels of difficulty. Minimum group size is ten participants. Group campsites (for reservations click on "Direction, Camping, Lodging Information") in Joshua Tree National Park are available by advanced reservations. Tipping your guide is customary when you are pleased with their performance.